When is one obligated to read Shnayim Mikra? The earliest possible to time it is allowed to be read: One is obligated to read the Shnayim Mikra of a specific Parsha during the week that the Parsha is read. Hence each week one is able to fulfill the obligation to read Shnayim Mikra of the upcoming Parsha of that Shabbos beginning from the Sunday of that week. One is not to read Shnayim Mikra of the Parsha prior to that Sunday. The latest time that it can be read: [For one who did not read Shnayim Mikra on Erev Shabbos] it is a Mitzvah Min Hamuvchar for him to complete the reading of it prior to [Shachris or at the very least prior to] eating the Shabbos morning meal. [See Q&A regarding Kiddush] If one did not complete the reading prior to the meal then it is an obligation for him to do so after the meal. He must complete the reading prior to [the Shul Minyan of] Mincha. If one transgressed and did not complete the reading prior to the prayer of Mincha then he is to do so prior [to the end of Shabbos and at the very least prior] to Tuesday night. If one did not do so then, he is to complete it until Simchas Torah, saying Shnayim Mikra Echad Targum of whatever he missed. If one heard Kerias Hatorah prior to saying Shnayim Mikra must he still say each verse twice? In a time of need [such as it is close to Mincha and he does not have enough time to say the Mikra twice] one can rely on the lenient opinion which rules that if one heard the entire Parsha clearly then it counts as one of the two times of reading Mikra and hence he need only read Mikra one time with the Targum [see footnote]. Lechatchilah however if one is holding prior to the reading of the Torah he is not to rely on hearing it, even in a time of need, but is rather to read along with the Baal Koreh, and then afterwards read Mikra one time with Targum. Is one to read Shnayim Mikra before or after going to Mikveh on Erev Shabbos? One is to go to Mikveh only after having first completed saying Shnayim Mikra. Is one to cut his nails prior to Shnayim Mikra? Some Poskim rule the proper order is to cut the nails, then read Shnayim Mikra and then immerse in the Mikveh. However in Peri Eitz Chaim it states to cut the nails after Shnayim Mikra, prior to immersing in the Mikveh. Is one to begin reading Shnayim Mikra immediately after midday of Erev Shabbos, or may it be delayed? There is no obligation to begin Shnayim Mikra immediately after midday. Nevertheless it is proper not to delay the reading of Shnayim Mikra once it is past midday. One is thus not to delay reading it due to a private learning session and is rather first to say Shnayim Mikra and then to learn. Nevertheless by a public learning session there is no restraint to delay Shnayim Mikra until afterwards. 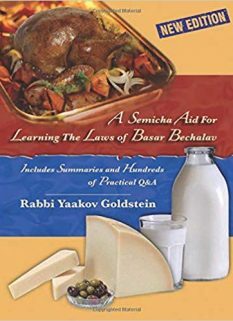 May one make Kiddush and eat a snack prior to reading Shnayim Mikra by Shabbos day? Yes. One may make Kiddush and eat a snack prior to saying Shnayim Mikra on Shabbos day. However one is to refrain from eating a set meal prior to Shnayim Mikra as stated in Admur. When is the Haftorah to be read? The Haftorah is to be read on Erev Shabbos [immediately] after reading Shnayim Mikra. At the very least it is to be read before the Haftorah is read in Shul. If one did not read it by this time, he should read it afterwards. May one read Shnayim Mikra of next week on Shabbos after Mincha? Yes. However some Poskim rule that this matter requires further analysis. If one read Shnayim Mikra of a Parsha prior to the week of that Parsha must he repeat the reading when that weeks Parsha arrives? This matter requires further analysis. Some Poskim however rule that one does not fulfill his obligation and he must repeat the reading of the Parsha. If a certain Parsha will not be read on Shabbos that coming week due to Shabbos coinciding with Yom Tov, when one may begin reading Shnayim Mikra of that Parsha? Only from the Sunday of the week that the Parsha will be read on Shabbos. By what time on Simchas Torah should Shnayim Mikra of the previous year’s Parshiyos be completed? One is to complete all the previous year’s Shnayim Mikra by Shachris of Simchas Torah. If one did not do so then he may complete it until the end of Simchas Torah. If Simchas Torah fell on Shabbos, as occasionally occurs in Eretz Yisrael, one may in a time of need complete the reading until Tuesday of that week. When making up Parshiyos of previous weeks should any specific order to be followed? One is to read it in the order of the Parshiyos. However some Poskim rule the current weeks Parsha is to be read first. If one is in doubt as to whether he said Shnayim Mikra of a certain Parsha must he now say it? Example 1: One has to make up a number of Parshiyos from previous weeks and does not recall from which Parsha he has to make up. Example 2: One is accustomed to read Shnayim Mikra at the beginning of each week, and now before Shabbos he does not recall if he did so. By Example 1 there is no requirement for one to read those Parshiyos in which he has doubt, however seemingly if possible it is best for one to do so. By Example 2 this matter requires further analysis as on the one hand it is a doubt in a Rabbinical matter, on the other hand one is easily able to remove himself from the doubt. May one read Shnayim Mikra at night? One is not to read Shnayim Mikra at night with exception to Friday night in which case it may be read. Regarding Thursday night see footnote. One may read Shnayim Mikra at night if he reads it together with a commentary such as Rashi. Nevertheless even in such a case he is not to read Targum at night. Can one fulfill his obligation of Shnayim Mikra through hearing someone else read it? Some opinions rule one is able to fulfill his obligation through listening to each and every word being read by another person. Practically one may not initially rely on this. The Rabbeim of Chabad were accustomed to read the first, and at times also the second, section of the weekly Parsha Shnayim Mikra Echad Targum on Thursday night. They would then repeat the entire reading of the Parsha Shnayim Mikra Echad Targum together with the Haftorah after midday Friday. On Shabbos day prior to Shachris they would repeat the seventh section Shnayim Mikra. 285/6 in the first custom mentioned, and so is the Chabad custom as mentioned in Hayom Yom 4th Teveis; Lekutei Sichos 24 p. 342. Beir Heiytiv 285/1 “This is the main Mitzvah”. This custom is recorded by the Shalah [p. 128]. Admur writes regarding the reason of this custom “for reasons known to them”. The reason recorded by the Shalah is based on Kabala, the reason being due to that on Erev Shabbos Kelipas Nogah requests elevation into Holiness, and the Targum of Unkelus who was a convert represents that exact elevation, hence after midday of Erev Shabbos [when the light of the holiness of Shabbos begins to shine] one is to read Shnayim Mikra Echad Targum and perform the elevation of Kelipas Nogah. 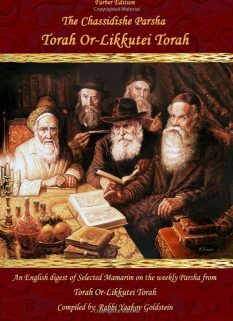 The ruling of M”B: The Mishneh Berurah [285/8] brings opinions which say that there is no Mitzvah Min Hamuvchar to read Shnayim Mikra specifically on Erev Shabbos, but rather any day of that week so that it is completed before Shabbos. The Magen Avraham [285/6] rules [in name of Arizal] that one is to only rely on the letter of the law and delay the reading to Shabbos if he was greatly prevented from reading it on Erev Shabbos. 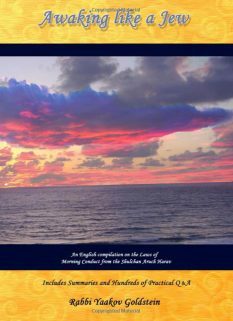 He concludes that one is allowed to begin it on Erev Shabbos and then conclude it on Shabbos prior to the morning meal. 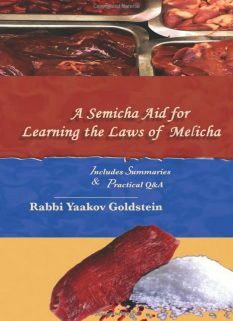 Now, although Admur offers other opinions regarding by when the Parsha must be read, it is only regarding Bedieved if one did not do so that the other opinions rule that one should still read it, however all agree that one is obligated to conclude Shnayim Mikra prior to Mincha as rules the first opinion. [M”B 285/12]. Ketzos Hashulchan 72 footnote 7. This applies even if Shabbos has already ended and one did not yet Daven Maariv, as it still remains Shabbos for the person. This follows the opinion of the Hagahos Maimanis in name of Mahram which rules that Bedieved one has until Tuesday to complete Shnayim Mikra. It is in contrast to the first opinion mentioned by Admur which rules that after Mincha one can no longer fulfill his obligation of Shnayim Mikra. Admur concludes that it is good to suspect for the lenient opinion and still read the Shnayim Mikra by Tuesday if one transgressed. This follows the opinion of the Hagahos Maimanis in name of Rabbeinu Simcha which rules that Bedieved one has until Simchas Torah to complete it. It is in contrast to the first two opinions mentioned by Admur [see previous footnote] which rule that after Mincha or at the very least by Wednesday the chance is lost. Admur concludes that it is good to suspect to this lenient opinion and still read the Shnayim Mikra before Simchas Torah if one transgressed. This negates the custom of those which only say the Mikra and not the Targum when completing the Parsha past its initial time, prior to Simchas Torah. Michaber 146/2 as rules Murdechaiy; Hagahos Ashriy; Reb Yehuda Hachasid; Terumas Hadeshen. The Elya Raba rules that not only is this allowed but it is a mitzvah Min Hamuvchar. However the Mamar Murdechaiy argues on the ability to call this leniency a Mitzvah Min Hamuvchar, See Biur Halacha 285 “Yachol”. Other cases of need: It is close to Tuesday night and he has not yet said it. It is Simchas Torah and he does not have enough time to say each verse twice of all the versus that he missed. This applies even in accordance to the lenient opinion-see previous footnote. This was the custom of the Arizal [Brought in Kaf Hachayim 260/7; M”A ibid] and so writes Shalah p. 138 explicitly in Hagah that one is to read Shnayim Mikra prior to immersing. So rules also Oar Tzadikim 28/18 stating that if one immerses prior to Shnayim Mikra he does not have the ability to receive the holiness of Shabbos. 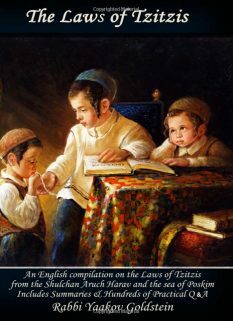 Other Opinions: Siddur Yaavetz rules one is to immerse prior to Shnayim Mikra. See Chapter 1 Halacha 17 for all the opinions on this matter. As from the letter of the law it may be recited up until Mincha, and the Mitzvah Min Hamuvchar is to recite it prior to the morning meal. Thus there is no requirement to recite it immediately after midday on Friday. Ketzos Hashulchan 72 footnote 12, following the ruling of Kneses Hagedola, Moreh Etzba that when there are two Haftoras even the Haftorah which will not be read on Shabbos is to be read for Shnayim Mikra. I.e. 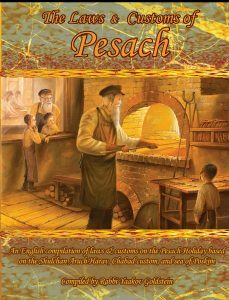 If this week is Parshas Lechlecha, may one begin reading Shnayim Mikra of Vayeira beginning from after Mincha of this Shabbos? So writes Peri Megadim [A”A 285/5 ]; Ketzos Hashulchan 72 footnote 3. Ruling of Admur: Admur rules [285/5] that one is to finish that weeks Shnayim Mikra by Mincha of Shabbos, as after the Torah reading of Mincha the new week’s portion has begun. This implies that immediately after Mincha one may already begin reading Shnayim Mikra of next week. So implies the Peri Megadim also from similar wording of the Kneses Hagedola. Vetzrauch Iyun why the Ketzos Hashulchan left this matter in question despite Admur’s clear wording. i.e. One read Shnayim Mikra of Vayeira on Erev Shabbos Lech Lecha. Just as is the law after Mincha of Shabbos. [ibid] However the Kaf Hachayim rules after the Torah reading on Simchas Torah Shnayim Mikra of the previous year can no longer be recited. Ketzos Hashulchan 72 footnote 9; See Teshuvahs Mahrsham 213 who brings a proof from Tzemach Tzedek to rule this way. See Ketzos Hashulchan ibid for why there is no problem that one is first reading the Tashlumin and then the Choveh, even though by Davening we rule one must first Daven the Choveh and then the Tashlumin. As even in a case one knows for certain he missed a Parsha it is only “proper” for him to still read it suspecting for the stringent opinion that he can still make it up. Hence certainly here that one is in doubt there is no requirement to read it. Regarding Shnayim Mikra: So is ruled explicitly in Lekutei Mahrich [Seder Kevius Itim Letorah] that Shnayim Mikra is not to be said at night. Other Poskim: Shaareiy Tziyon 238/1 rules one may read Mikra at night, however it is better to do so during the day. Some opinions allow reading Mikra on Thursday nights. [Oar Tzadikim] Others go even further to state it is customary to recite Shnayim Mikra specifically on Thursday night. [Machazikei Bracha in name of Rashash] Nevertheless some rule this allowance applies only to Mikra and not Targum. [Machazikei Bracha brought in Lekutei Mahrich ibid] To note however from the custom of the Chabad Rabbeim [Hayom Yom 4th Teves] to read the first and at times also the second portion of the Parsha on Thursday night. It is implied there from the wording [Maavir Sedra] that they also read Targum. As rules Admur regarding being Yotzei with the Baal Korei. This follows the opinion of the Rashash which states it is customary to recite Shnayim Mikra specifically on Thursday night. [Machazikei Bracha in name of Rashash] Nevertheless some hold this allowance applies only to Mikra and not Targum. [Machazikei Bracha brought in Lekutei Mahrich ibid] However from the wording of Hayom Yom it implies the Rabbeim would likewise read Targum.